After six weeks at the top for Cam and “Burning House,” she concedes the top spot to Adele’s “When We Were Young,” giving Adele her second #1 from 25 and fifth overall. 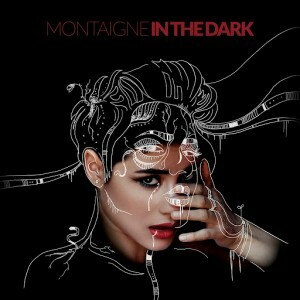 Montaigne moves to #5 with “In The Dark.” CAFUNÉ moves both “Lay Low” and “Warm Body” into the top ten, with Lissie’s “Don’t You Give Up On Me” and Birdy’s “Keeping Your Head Up” just below. At #32, ZAYN’s debut solo single “PILLOWTALK” is the top debut. Aside from a lofty re-entry from Mackenzie Thoms, the rest of the chart’s debuts are from Rihanna, whose half-dozen new entries are led by “Kiss It Better” at #34, and Charles Kelley, who debuts The Driver tracks “Leaving Nashville” at #48 and “Round In Circles” at #75. Cam holds off Adele for another week, while Laura Mvula and Nile Rodgers rise to #3 with “Overcome.” Montaigne makes it a second week in a row with a top-ten debut, as her new single “In The Dark” enters at #9. Lissie and Birdy each jump ten places into the top twenty. The 1975 score their first song to chart with “The Sound,” in at #45. Also leading the pack among this week’s debuts are songs by Joel Adams, another from Lissie, Chairlift, Alex Newell, and Charles Kelley. Carly Rae runs away with a fifth week at #1 while continuing to secure three other slots in the top ten. Felix Cartal and Nikki Yanofsky jump into the top five; Alessia Cara, Andrew Ripp, and Grace Mitchell all move into the top twenty. Inside the top fifty, Cam rebounds with a new peak for “Burning House” at #46; below, Maddie & Tae and Justin Bieber each make big climbs. EZA is the week’s highest debut, returning with a new single, “We Keep The Lights Out.” New tracks from Montaigne, Maddie & Tae, CRUISR, Grace Mitchell, and Max Frost also notch their first weeks, while Audien and Lady Antebellum’s collaboration “Something Better” returns to its original peak of #94. Though the top four positions on the chart are unchanged, Walk The Moon scores a second spot in the top five as “Aquaman” leaps from 8 to 5. 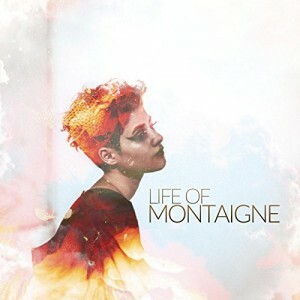 Meanwhile, Montaigne scores her second top twenty hit with “Pontius Of The Past” moving 22-20. With the music industry revived in the new year, new music begins entering the chart, led by Ellie Goulding’s new Fifty Shades Of Grey soundtrack song, “Love Me Like You Do,” launching at #36. Taylor Swift’s newest 1989 single, “Style,” begins at #42, immediately matching the peak of album cut “Out Of The Woods.” Also in the top fifty is newcomer Bea Miller, whose “Fire N Gold” enters right at #50. Additional debuts come from new artist Fancy and new singles for Echosmith, Madonna, and Sia, while Jason French, Ryn Weaver, and Maroon 5 all make re-entries. With another week of the top ten resting fairly stagnant, the week’s big movers are from newcomers charging toward the chart’s upper reaches. I Know Leopard makes a big jump from #87 to #21 in their second week on the chart with “Perfect Picture,” while Sinclair, One Direction, and Tor Miller all make double-digit jumps in the top fifty. 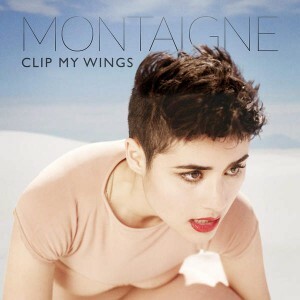 The week’s new entries include a new track from Montaigne, whose first hit “I’m A Fantastic Wreck” also returns after peaking at #12 in July; a re-recorded version of Paramore’s self-titled album track “Hate To See Your Heart Break” featuring Joy Williams (formerly of The Civil Wars) also enters at #70. In addition, the chart gains new singles from Labrinth, The Neighbourhood featuring French Montana, and Olly Murs featuring Travie McCoy, along with newcomers Brayton Bowman and The Avener.